C120 cartridges are appropriate for soldering and desoldering chip components or dual in line easily, reducing handling time. They work with Micro Tweezers which enables to align the cartridges according to the user needs. The widest range of cartridges and tips that last 5 times longer. Excellent Heat Transfer The compact element reduces thermal barriers. Instantaneous Heating Up A fully integrated thermal sensor to the heater ensures a quick temp recovery. Great Durability The intelligent algorithm control program increases life. 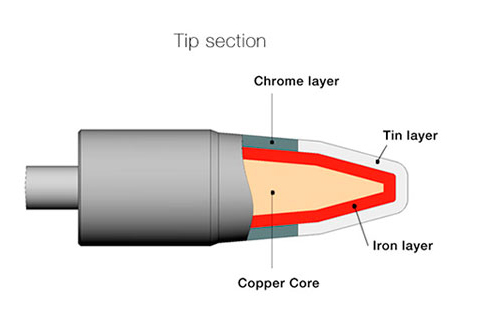 Does your soldering application require a special tip design? Feel free to contact us at customtips@jbctools.com and let us customize the best tip for your process.